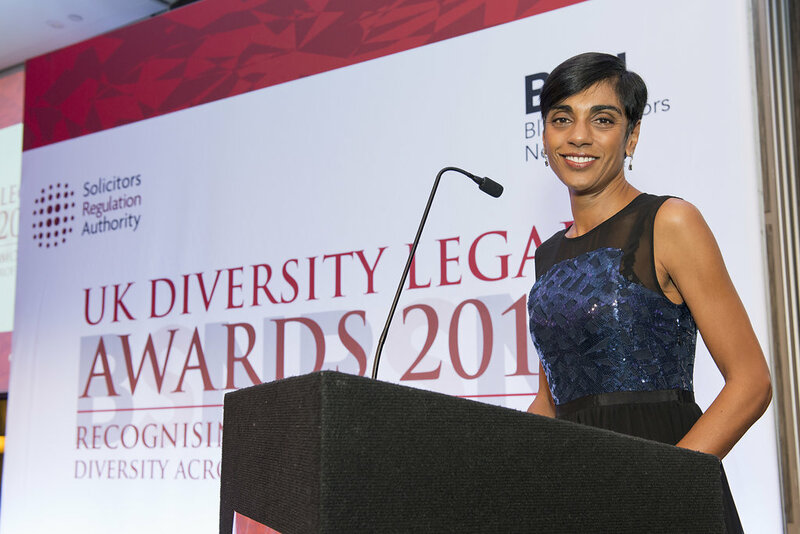 The UK Diversity Legal Awards was founded in 2009 to showcase and celebrate the excellent work being done by individuals, teams and organisations to engender greater diversity in the legal profession. It is the only industry awards which focus solely on recognising and promoting diversity, inclusion and equality across the legal profession. Having successfully celebrated its 8th year in 2017 with the support of Sadiq Kahn, London Mayor, the Solicitors Regulation Authority, The Law Society of England and Wales and the Bar Council, the 9th Annual Dinner and Ball will continue to promote the successful work and commendable efforts of individuals and organisations who continue to inspire others to follow their lead. Each year, nominations and submissions are invited and received from firms, chambers, in-house legal teams (private and public sector), suppliers to and individuals within the legal profession. Submissions may cover one, some or all aspects of diversity, including gender, ethnicity, sexual orientation, disability and social mobility.